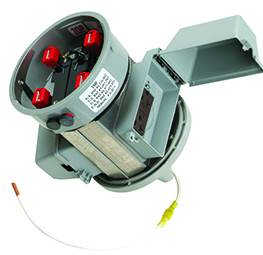 The 700 Series temporary service adapters provide a quick method of installing emergency service to individual customers, either from a transformer or a neighbor’s service box. 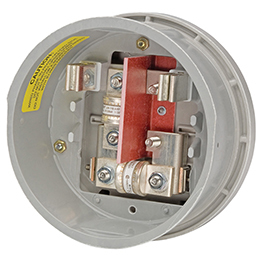 The patented, dead-leg adapter allows the safe resumption of temporary service when one leg of a 120/240 volt service is dead due to events such as storm damage or faulted underground service cable. 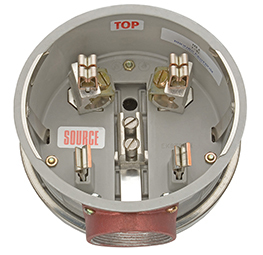 These patented jumper covers provide a safe, simple method to bypass a customer’s meter socket. Available in single phase or polyphase. Designed to help utilities provide temporary electric service to building contractors at new construction sites. Replaces more costly, cumbersome ways to provide temporary service. 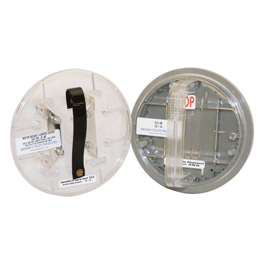 Isolates power from house panel, allowing the device to be used at flood or fire damaged homes.